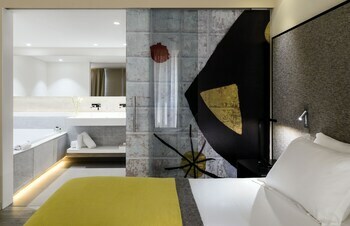 A stay at H10 Art Gallery places you in the heart of Barcelona, within a 15-minute walk of Casa Batllo and Casa Mila. Featured amenities include complimentary wired Internet access, a business center, and complimentary newspapers in the lobby. Event facilities at this hotel consist of conference space and meeting rooms. Self parking (subject to charges) is available onsite. When you stay at Sucina in Murcia, you'll be 7 minutes by car from Peraleja Golf. Located in Almunecar (La Herradura), this apartment is close to La Herradura Castle and Abderraman I. Limited parking is available onsite.